THE Pacific Islands Association of Non-Governmental Organisations (PIANGO) and Pacific Conference of Churches (PCC) are looking to strengthening relations to promote human rights and social justice as servant communities. PIANGO hosted the newly appointed General Secretary of PCC Revered James Bhagwan to a congratulatory morning tea at their headquarters in Suva this morning (February 5, 2019). 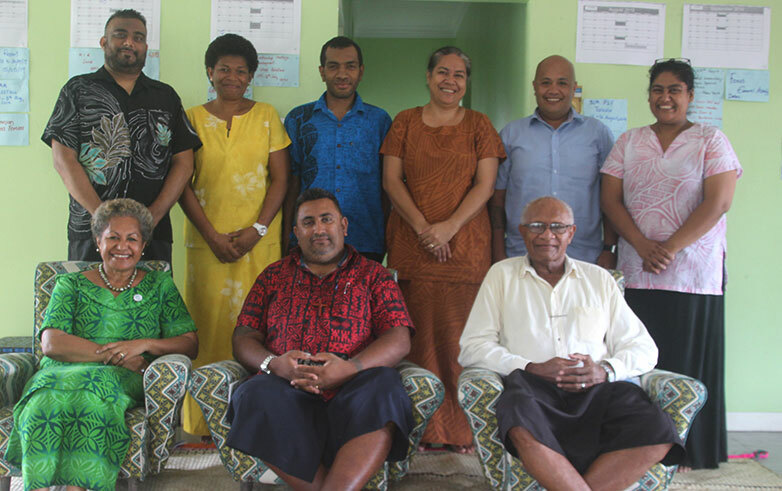 PIANGO staff members with the newly elected general secretary of Pacific Conference of Churches Reverend James Bhagwan (center). PIANGO Executive Director Emele Duituturaga said PIANGO is very keen to support PCC in strengthening the prophetic voice of the church and Faith-based organisations and to continue working together on key issues such as Climate Change, Seabed Mining, West Papua and the Global Compact on Migration. “There is a need to regroup with PCC and others in terms of the West Papua campaign Strategy,”Ms Duituturaga said. Rev Bhagwan reiterated PCC’s willingness to work in partnership with PIANGO in serving the communities. “The Pacific is what’s in our hearts and we will look to the work that we are doing, providing support to each other and understand each other’s language as we journey forward together,” Rev Bhagwan said. He said there is also a need to identify new partnerships where PCC will be able to provide technical assistance not just from a theological background but on specific issues and perspectives. “Our role is to articulate and give expression to those concerns and provide support on behalf of our 30 member-churches and 9 national councils of churches across Oceania, “he added.